The seemingly never-ending negotiations between Greece and its creditors regarding a new debt deal have reached a new level: Greek Finance Minister Evangelos Venizelos said another EU Summit will be held on Feb. 6 to help hammer out a deal. “A euro group summit will be held which will discuss a series of issues, and I hope that it will take a series of decisions,” the minister told reporters, according to Newswires’ Stelios Bouras. A Greek Finance Ministry official said the meeting will take place in Brussels. For weeks we’ve been led to believe that a deal was close and wouldn’t represent a sticking point in the latest chapter of Europe’s sovereign-debt crisis. If we’ve learned anything through this crisis, it should be don’t believe any pact is close until it is actually finalized. Negotiations between Greece and its creditors about the terms of an orderly Greek restructuring appear to have stalled in Athens, amid troika adamance that the country accept even more dramatic austerity measures in return for the aid they are expected to receive as part of a second bailout, according to the Guardian. Prime Minister Lucas Papademos has called an emergency meeting of party officials in an attempt to convince them to vote through the spending reforms and bring the debt swap deal to resolution. Meanwhile, International Business Times reports that dissatisfaction with the Greek government rose to 91% in a poll two weeks ago, although the majority of respondents still supported Papademos. Greek officials have been called into a crisis summit as talks with European Union and International Monetary Fund negotiators over the country's mounting debts seem to have stalled. 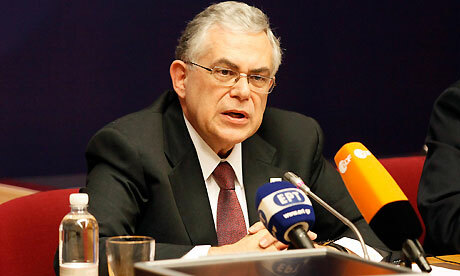 Prime minister Lucas Papademos told aides that a crisis meeting of party leaders would be called as early as Thursday to thrash out a response to an increasingly intransigent negotiating team sent by Brussels, which is demanding severe austerity measures before sanctioning a further €130bn (£109bn) of bailout funds. 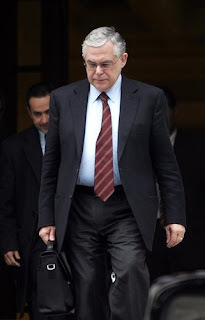 Papademos, the economist temporarily heading a transition government in Athens, wants party leaders backing his administration to make further concessions to bring talks to a swift end. Papademos and his team of aides returned in sombre mood on Tuesday from a round of talks in Brussels and Frankfurt at the offices of the European Central Bank (ECB), despite relief that a German proposal to install an EU commissioner in Athens, with special oversight of Greek finances, had been quashed. Just hours after European Union leaders signed a decree agreeing to focus their political energy on generating jobs and growth, the scale of the challenge was brought into stark relief by new data on Tuesday showing unemployment in the eurozone at a record high. The number of jobless in the 17 countries of the single currency bloc rose in December for an eighth consecutive month to 16.5m – roughly the population of the Netherlands. The unemployment rate at year end stood at 10.4 per cent, the highest level since the euro was introduced a decade ago, according to seasonally adjusted data from the EU’s statistical arm. The 0.1 percentage point increase from November’s estimate compares with an unemployment rate of 10 per cent a year earlier. 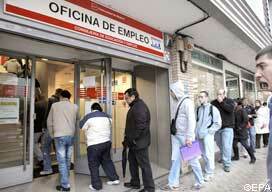 By the same measure, US joblessness in the same period fell nearly 1 percentage point, to 8.5 per cent in December. Spreads on credit default swaps on Italian and Spanish banks have fallen since the introduction of the ECB’s three-year long-term refinancing operations in December. Spreads between yields on debt of some vulnerable sovereigns and German Bunds have also eased. 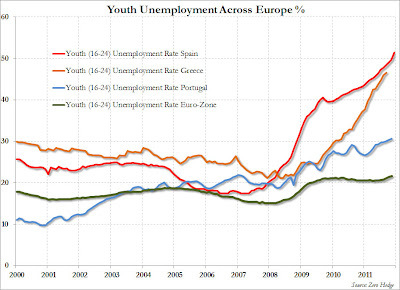 Does this mean the eurozone crisis is over? Absolutely not. The ECB has saved the eurozone from a heart attack. But its members face a long convalescence, made worse by the insistence that fiscal starvation is the right remedy for feeble patients. Last week’s downgrading of its forecasts by the International Monetary Fund shows the dangers. The IMF now forecasts a recession in the eurozone this year, with a decline of 0.5 per cent in overall gross domestic product. 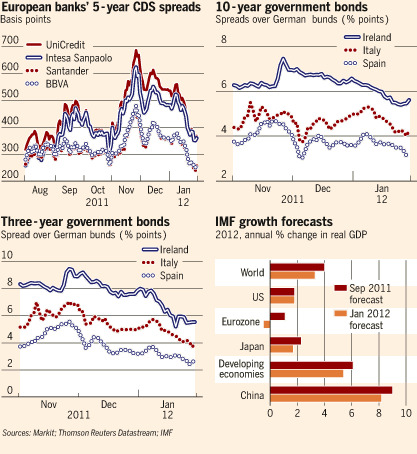 GDP is forecast to fall sharply in Italy and Spain, and stagnate in France and Germany. 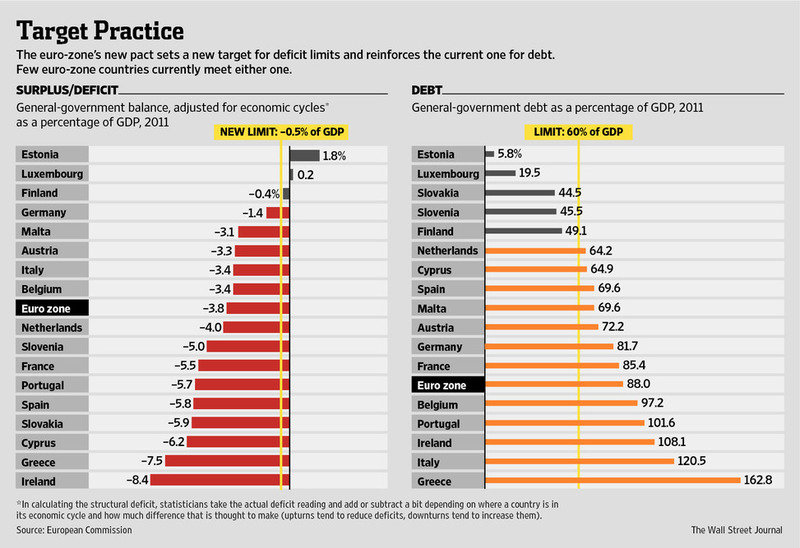 This is a terrible environment for countries seeking to cut fiscal deficits. Forecasts are far from satisfactory for other high-income countries. But the eurozone is the most dangerous part of the world economy: only there do we see important governments – Italy and Spain – menaced by a loss of creditworthiness. What Are the Germans Thinking? It’s fashionable in Republican circles to trash everything European (right-wing Tweeters even derided the idea that the Apple store in Paris is really nice). So I’ll be interested to see how the G.O.P. reacts to the latest EU summit, where politicians renewed their commitment to the right’s favorite false god: Austerity. As far the Times editorial board can tell – and we will have more to say about this on the editorial page tomorrow –Europe’s leaders have effectively tied the hands of the member states. The 25 of 27 countries that agreed to sign a new financial pact will be legally prohibited from combating recessions with economic stimulus – which is merely the best way to combat recessions. (They’ll have to change his tombstone to “Here Lies the Outlaw John Maynard Keynes.”) Those countries account for 20 percent of the world’s economy, and as long as they struggle, everyone on this side of the Atlantic will likely struggle, too. As usual, Germany was the driving force behind the pact. I keep wondering why German Chancellor Angela Merkel, by all appearances a brilliant politician, thinks that shrinking economies is the right way to expand them. What makes her think that sacrifice is the key to reviving an ailing economy – despite the fact that all the evidence points the other way. 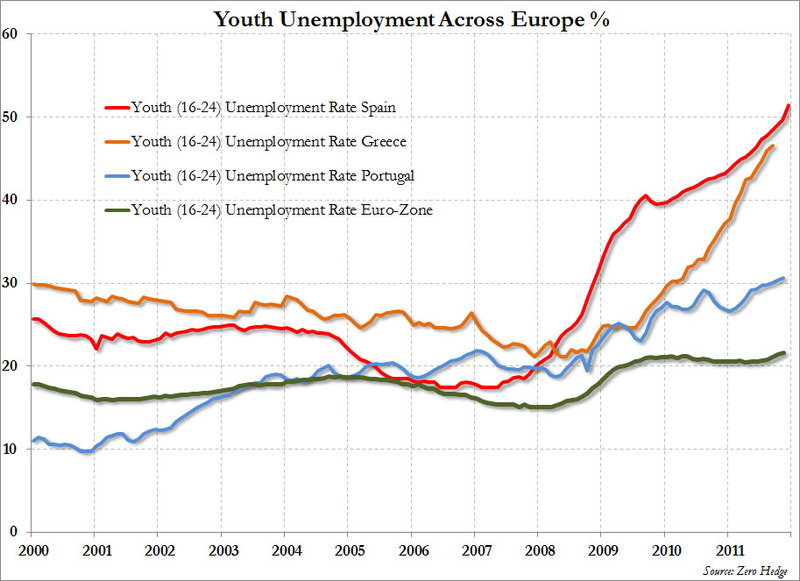 Just look at Greece, Ireland, Britain, Portugal, Italy and Spain. Der Spiegel has a long and meticulously reported piece on the state of affairs as it exists right now between Germany and Greece, naturally concentrating on attitudes within Germany. Meanwhile, Yanis Varoufakis has a much more Greek take on the same subject at CNN. And by far the most striking thing, here, is how similar the two pieces are. The German article is headlined “European Politicians in Denial as Greece Unravels”, while the Greek one plumps for “Why it’s too late to save Greece’s sovereignty”. They’re both saying the same thing: Germany has been treating Greece’s insolvency as though it were some kind of liquidity crisis, which can be solved by lending Greece more money. But of course that’s the worst possible thing you can do with an insolvent debtor: it only makes things worse rather than better. German leaders, unwilling to confront their bankers and the fault lines developing throughout the eurozone, pretended to believe that the problem was Greece and that Greece could be “cured” by means of loans and austerity. At the same time, Greek leaders, unwilling to confront their electorate, pretended to believe that they could deliver the targets demanded by Germany. This can be seen as a conspiracy of the technocrats: both sides deliberately agreeing to the impossible so that Europe would be dragged into ever-greater fiscal union. After all, the more money that Germany lends to Greece, the more control it’s going to demand, and the greater the gap between Greece’s promises and its reality, the more control it’s going to feel the need to concede. The future of capitalism is again a question. Will it survive the ongoing crisis in its current form? If not, will it transform itself or will government take the lead? The banners outside the EU Council building in Brussels read "No to the Savings Pact, Yes to Solidarity." Striking Belgian workers gave their verdict on the outcome of the first EU summit of 2012 on Monday: an umistakable thumbs down. In the conference hall, leaders once again talked austerity, and 25 of the 27 heads of government signed up to the pact for stricter fiscal discipline that Chancellor Angela Merkel has been pushing for. Only Britain and the Czech Republic refused to join. Merkel called it a "very successful result." She imposed the fiscal pact, which includes binding limits on budget deficits and quasi-automatic sanctions on countries that breach deficit and debt limits, virtually on her own. And she did it in just two months. Progress has been much faster than most observers had expected when the pact was agreed to at the EU summit last December. But Merkel can't be wholly satisfied. 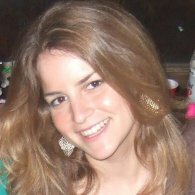 She spent much of the day neutralizing a strategically misguided suggestion from the German Finance Ministry. On Friday, the Financial Times reported that Germany wanted to dispatch an EU budget commissioner to Athens to monitor Greece's fiscal policy. The article referred to an internal ministry paper. While politicians from Merkel's center-right coalition expressed delight at the idea over the weekend, the Greek government protested at what it called a "sick fantasy" and demanded respect for its national dignity. Unemployment figures have highlighted the widening gap between Germany and many fellow eurozone members, a day after Angela Merkel secured a new treaty enshrining Berlin’s vision for tough fiscal discipline. Unemployment in the 17 euro countries climbed to 10.4 per cent in December, with the November rate revised upwards to the same rate, setting a fresh record since the introduction of the single currency in 1999. So-called “peripheral” members such as Spain and Greece recorded the highest rates, of 22.9 per cent and 19.2 per cent respectively. By contrast, national data from Germany, the eurozone’s bulwark, showed joblessness declined in January to 6.7 per cent, the lowest level since reunification in 1991. 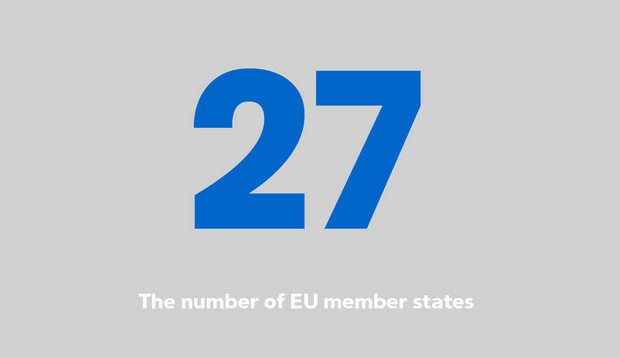 Almost one in 10 – or 23.8m – people in the European Union are now jobless, equivalent to more than twice the working-age population of the Netherlands. German Chancellor Angela Merkel should be happy nowadays: her party’s approval ratings aren’t bad, and her own are very good. She no longer has serious rivals within the center-right Christian Democratic Union (CDU), while the left opposition is fragmented into four parties. 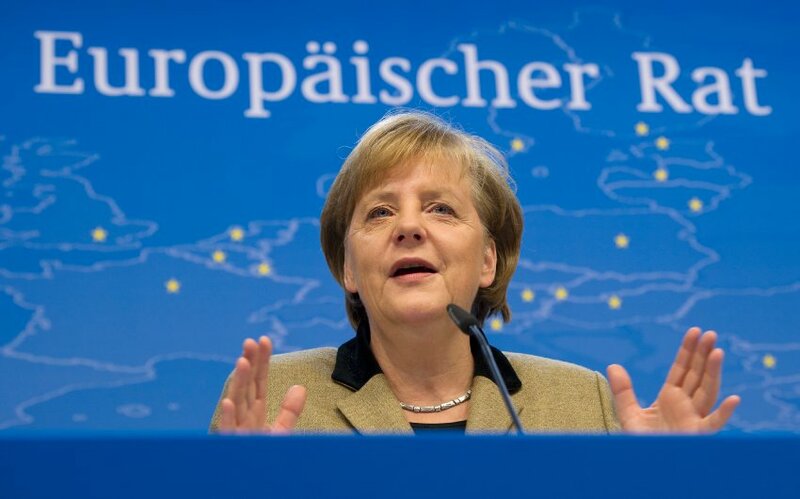 Her response to the European crisis has prevailed – or at least that is the impression that she conveys, and that most Germans believe. So everything is fine and dandy, right? Not so fast. 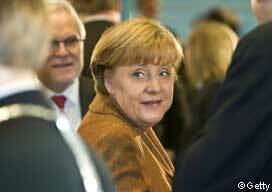 Two issues could complicate Merkel’s re-election bid in the autumn of 2013. 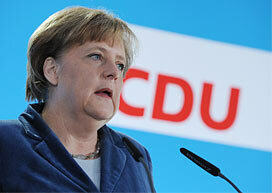 Domestically, her coalition partner, the liberal Free Democrats (FDP), is disintegrating. Even if the FDP survives the next election (which is by no means certain), the current coalition is unlikely to retain its parliamentary majority, leaving Merkel increasingly dependent on the Social Democrats (SPD). While this need not matter to her too much as long as she retains the chancellorship, in Sigmar Gabriel, the SPD’s leader, she faces – for the first time – an opponent whom she would underestimate at her peril. But the real danger to Merkel is external: the European crisis. If she is unlucky, the crisis will come to a head at the start of the German election year, and all previous calculations could be moot, because, despite Germans’ frustration with Europe, the electorate would punish severely those who allowed Europe to fail. The European Union’s economy is sliding into a severe and, in all likelihood, long-lasting recession, largely self-inflicted. 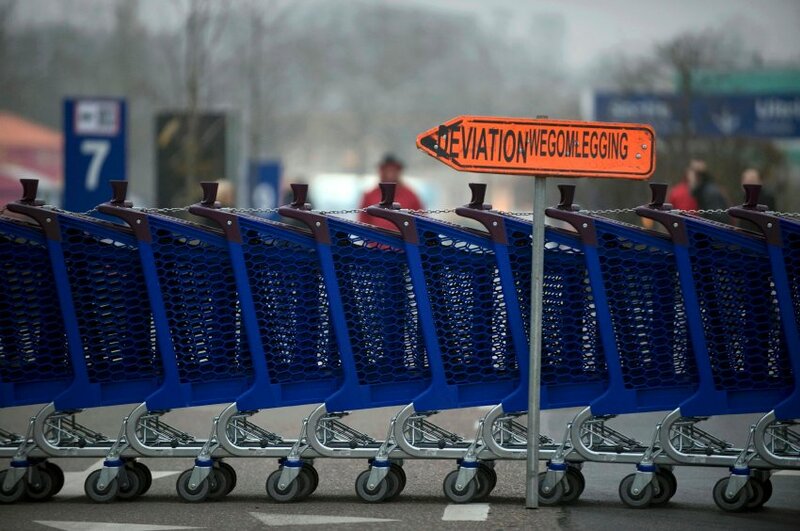 While Germany is still trying to banish the specter of hyperinflation with strict eurozone austerity measures, the EU crisis countries are facing a real threat of deflation, with potentially disastrous consequences. It is only a question of time – no longer very much time – before economic destabilization gives rise to political instability. Integration is becoming a dirty word in the European Union. Just when bond markets are looking for signs of cooperation in the 27-member region so they can call off their war on indebted countries, European governments have abandoned the guise of cohesion as they try to hammer out an accord that would commit participating EU countries to tougher fiscal rules. The Poles and Czechs are sniping at the French (over signing of the fiscal compact); Austria and Luxembourg are squabbling with the Germans and Swedes (over appointing a commissioner to take charge of Greece's budget); the British won't recognize Europe's new budgetary rules; and the Greeks are bickering with everyone. Soaring yields on the bonds of Portugal -- which may be the next euro trouble spot -- show that markets believe there is no movement toward integration. One thing is for sure: ``Fiscal union'' won't mean the surrender of budget sovereignty for any country other than the ones applying for bailout money and even they may be spared that embarrassment. If an EU Finance Ministry were to be created, it would have only enforcement powers, not the right to make policy for member states. This week's reaction to the German proposal made that only too clear. ``Surveillance of Greece's progress is normal, but there was never any question of putting Greece under tutelage,'' said French President Nicolas Sarkozy. Even the junior partner in the double act known as ``Merkozy'' is breaking ranks on the issue of sovereignty, it seems. Austrian Chancellor Werner Faymann said the proposal to give the EU control over Greece's budget ``doesn't achieve anything and it goes in the wrong direction,'' while a Greek minister summed up his nation's take on the matter as ``the product of a sick imagination.'' More Europe suddenly became less Europe when it comes to giving up national powers. Greece must make "difficult" decisions in the coming days to clinch a debt swap agreement and a 130 billion euro bailout package needed to avoid an unruly default, the government said on Tuesday. Near-bankrupt Greece is struggling to convince skeptical lenders it can ram through spending cuts and labor reform to help bridge a funding shortfall driven by a worsening economic climate and its previous reform plan having veered off track. With a long-awaited debt swap deal largely almost secured, Athens' focus is now squarely on the reform front. Failure to persuade lenders it can follow through on its pledges could put both the bond swap and the country's latest bailout at risk. "It's all down to whether the Greeks manage to convince the troika that they will implement the necessary austerity measures," a source close to the talks said, referring to so-called "troika" of foreign lenders - the European Central Bank, the EU and the International Monetary Fund. European Union leaders signed up to a new fiscal pact last night that will cap their budget deficit at 0.5% of GDP. Geoff Smith and William Horobin in Paris discuss the political risks, economic risks and euro risks. A deal, but to what end? By the standards of past summits, European leaders finished early—shortly before 10pm on January 30th. And by the acrimonious standards of past gatherings, notably last month’s bust-up with Britain, this event was uneventful, even amicable. Agreement was reached on the fiscal compact, the new treaty to toughen budget rules, in record time: less than two months. A final row between France and Poland over who gets to attend which summits was resolved with a complicated compromise. This involves variable configurations of meetings involving 17 countries (the euro zone), 23 (the largely-forgotten Euro-Plus Pact, 25 (the signatories of the fiscal compact), 27 (all EU member states, still in charge of the single market) and 28 (involving soon-to-join Croatia). It shows that, at the very least, European leaders can negotiate rapidly when they have the political will to do so—and when the British and the Czechs decide to step aside. Whether electorates will be quite so quick to shackle themselves to Germanic fiscal rules is another matter. But did the leaders achieve anything useful to stem the crisis in the latest of their interminable summits? Their compact—now called the “treaty on stability, co-ordination and governance in the Economic and Monetary Union”, has as its main aim the imposition of balanced-budget rules on members. This may be a useful discipline in good times. But many worry that, at a time of widespread crisis, such pro-cyclical rules risk imposing too much austerity too widely, thus darkening the spectre of recession and making it even harder to balance budgets. This may explain why leaders suddenly want to be seen talking about their plan (declaration is here in PDF) for growth and jobs, particularly in tackling the problem of youth unemployment. Υπάρχει μια απορία σχετικά με τη συζήτηση που γίνεται με τους κατώτερους μισθούς. Πώς γίνεται η νεοφιλελεύθερη Ιρλανδία να έχει κατώτατο μηνιαίο μισθό 1.462 ευρώ (στοιχεία Eurostat Ιανουαρίου) κι εμείς -που χρόνια παλεύουμε μη γίνουμε Ιρλανδία- τρέχουμε τώρα να διατηρήσουμε τα 863 ευρώ; Πώς γίνεται η Βρετανία με όλη την παράδοση της Θάτσερ, που βδελυσσόμεθα, να έχει κατώτατο μισθό 1.139 ευρώ, ενώ εμείς που δώσαμε αγώνες κατά της επάρατης ιδεολογίας της να πληρωνόμαστε περίπου τα δύο τρίτα, κι αυτά να είναι απειλούμενα; Μήπως ήταν λάθος το εθνικό μας δόγμα «ε, δεν θα γίνουμε και Ιρλανδία» όπως είχε πει το 2002 ο κ. Σημίτης; Στο κάτω κάτω της γραφής υπάρχει τρόικα και στην Ιρλανδία, αλλά δεν ζητούν μείωση κατώτατων μισθών, παρόλο που είναι 60% μεγαλύτεροι των ελληνικών. Επίσης στην Ιρλανδία δεν γίνεται καμιά διαπραγμάτευση περί απελευθέρωσης των επαγγελμάτων. Εχουν απελευθερωθεί εδώ και χρόνια και η οικονομία της έχει την ευελιξία να προσαρμοστεί στις συνθήκες της κρίσης πολύ πιο εύκολα και λιγότερο τραυματικά από την Ελλάδα. Εδώ η τρόικα ακόμη ψάχνει την κατάργηση των κατώτατων αμοιβών των μηχανικών. Αυτές καταργήθηκαν διά νόμου, αλλά τελευταία στιγμή μπήκε μια διάταξη που επιτρέπει στο ΤΕΕ να τιμωρεί πειθαρχικά όποιον μηχανικό θέλει να δώσει χαμηλότερες των... καταργημένων κατώτατων αμοιβών. Ούτε έχουν στην Ιρλανδία κανένα Βορίδη που να ψάχνει εκτός από τα πληθυσμιακά και περιβαλλοντικά κριτήρια για να κρατήσει κλειστό το επάγγελμα των ταξί (αλήθεια: αν το πρόβλημα είναι ο κυκλοφοριακός φόρτος και το περιβάλλον γιατί δεν μπαίνουν πληθυσμιακά κριτήρια και στα Ι. Χ.;). Στην Ιρλανδία επίσης όταν ένας πολίτης ή ένας επιχειρηματίας αγοράζει ένα ακίνητο δεν έχει υποχρεωτική παράσταση και δεύτερου νομικού πέραν του συμβολαιογράφου. Συνήθως -και κυρίως στις μεγάλες αγοραπωλησίες- χρησιμοποιούν πολλούς δικηγόρους, αλλά δεν πληρώνουν υποχρεωτικά δικηγόρο για κάθε αγοραπωλησία άνω των 11.000 ευρώ! Το υποχρεωτικό χαράτσι δηλαδή υπέρ της συμπαθούς τάξεως των δικηγόρων, παρόλο που περιλαμβάνεται στο πρώτο Μνημόνιο, είναι ακόμη υπό διαπραγμάτευση με την τρόικα. All but two European Union countries agreed Monday to new and tougher measures to enforce budget discipline in the euro zone, but the bloc still showed few signs of producing a comprehensive solution for the sovereign debt crisis or a credible plan to revive fragile economies across Europe’s weakened Mediterranean tier. The meeting of 27 European Union heads of state and government here in Brussels was aimed at completing the text of a so-called fiscal compact for the 17 nations relying on or intending to join the euro zone — with only Britain and the Czech Republic opting not to adopt the measures. After a meeting lasting seven hours, the leaders also issued a declaration calling for a new push to restart growth and combat joblessness across the Continent. But a number of politicians and analysts said the pledge by the European leaders to create new jobs was mostly empty, and others complained that the proposed rules to keep deficits under control contained little to actually help nations with high borrowing costs. The summit declaration also skirted the continuing problems in Greece, where a second bailout is being held up by the inability of the government in Athens to complete a deal with private holders of Greek bonds over the losses they should accept. Germany's campaign to set the terms for saving the euro was crowned with success when EU leaders sealed agreement on a new "fiscal compact" for the single currency zone, enshrining Berlin's insistence on rigour and discipline and establishing a new punitive regime for budgetary profligacy. Chancellor Angela Merkel returned to Berlin with the new treaty in the bag, but also appeared more isolated in Europe in her hard line on Greece and how to save the country from defaulting on its debt. All EU countries except Britain and the Czech Republic signed up for the new pact on Monday night, although Poland and France sparred over who would be allowed to take part in the twice-a-year eurozone summits which are a feature of the new regime. 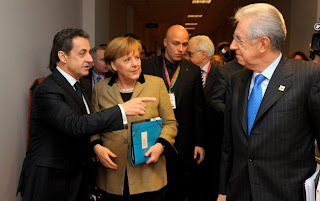 President Nicolas Sarkozy sought to restrict the summitry to the 17 countries of the eurozone, while the Polish prime minister, Donald Tusk, insisted that non-euro countries who sign up to the new pact should be allowed to attend. "It's very symbolic," said a senior EU diplomat. "A matter of national flags and national pride for the Poles." Leaders of 25 European Union governments agreed Monday night on what some billed as a historic pact to move to closer fiscal union and signed off on the details of a permanent bailout fund for the euro zone—yet Greece's looming debt restructuring threw a shadow over the summit. The leaders discussed Greece but provided no further clarity on the eventual outcome of an issue that was creating increasing nervousness in financial markets Monday. European stocks fell Monday and the euro lost ground against the dollar, while Portugal's borrowing costs surged, with the 10-year government bond yield reaching euro-era highs. The summit ended after markets had closed in the U.S. In a joint statement, the EU leaders noted "tentative signs" of economic stabilization in Europe but said financial market tensions continue to weigh on the economy. The final shape of the deal to reduce Greece's debt is still unknown after months of wrangling between the Greek government, representatives of bondholders, and officials from the EU, the International Monetary Fund and the European Central Bank. I’m giving a talk in Paris tomorrow. Here are some slides; they won’t come as a shock to regular readers, but it may be useful to see them all in one place. Germany is quite right to think outside control of the Greek budget is needed to impose austerity. Athens should accept, on condition that a Greek runs Germany’s finance ministry, increasing spending to ensure German inflation. The combination would help solve the eurozone’s problems. 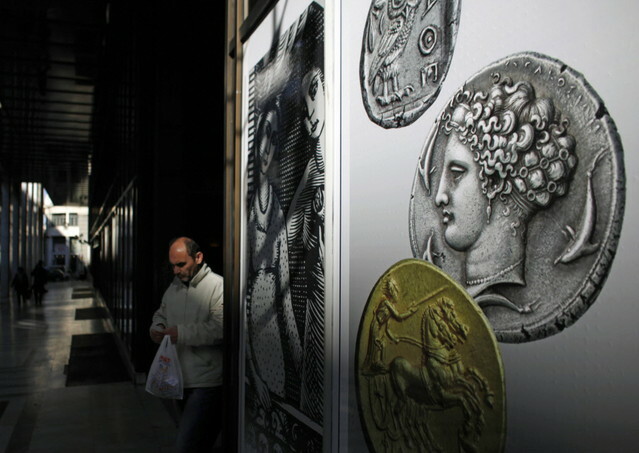 Athens’ dismissal of the German plan contributed to a glum market mood on Monday. The five-year US Treasury bond hit a record low yield, while 10-year yields in the havens of the US, Germany and the UK are all below 2 per cent. Equities fell but have decoupled from bonds since the autumn. Shares are up about 20 per cent but bond yields have barely budged. Bonds are priced for the west to turn Japanese. Uber-bears, led by Société Générale’s Albert Edwards, have predicted this for years. But investors coming around to the view now have missed the big gains. The lesson from Japan – as well as the yield – suggests the gains still to be had may not be that great. European leaders have agreed to back a fiscal discipline treaty, handing Angela Merkel, German chancellor, a symbolic victory in her months’ long drive to enforce tough budget limits for the single currency. Under the pact, eurozone countries would be legally bound to balance national budgets over time – a price that European leaders see themselves paying to ensure Berlin’s fiscal might continues to back the single currency. But it also comes as leaders and institutions around the world, from the International Monetary Fund to Italy’s prime minister, question the austerity-centred policy backed by Ms Merkel. 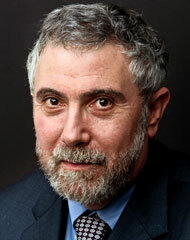 Some likened the pact to outlawing Keynesian-style fiscal stimulus. “We have to learn to explain that it’s not just about the consolidation of our finances, but we also need the prospect of growth,” Jean-Claude Juncker, Luxembourg’s prime minister, said as he headed into the European Union summit in Brussels. As a consequence, the summit was nominally focused on creating jobs in the EU. European Union leaders gathered Monday to finalize accords on tighter fiscal discipline and a permanent bailout fund, even as a looming multibillion-euro debt-restructuring deal for Greece threatened to overshadow the talks. Leaders are expected to sign off on the final text of a fiscal compact, supported by the majority of EU economies, that aims to prevent a repeat of the public-finance meltdowns that have dogged Greece, Portugal, Ireland and others. Leaders are also likely to endorse a treaty creating the European Stability Mechanism, although a proposal to boost the size of the €500 billion (€661 billion) firewall is still being debated. In a joint statement to be issued after the summit, the leaders will note that there have been "tentative signs" of economic stabilization in Europe but that financial-market tensions continue to weigh on the economy, according to a draft that is also expected to outline measures to support economic growth. European Commission President José Manuel Barroso has promised to take steps to boost job creation and growth, including redirecting unused EU funds to tackle youth unemployment. But Greece's debt crisis is once again taking center stage, even though a new bailout for the country isn't officially on the Monday agenda. Greek Prime Minister Lucas Papademos headed for Brussels after weekend talks with private creditors over a plan to write off €100 billion of the country's debt edged toward conclusion. On Sunday he won renewed commitment from Greek political leaders to pursue fresh reforms. Germany wants to appoint a European Union commissioner with veto power over Greece’s budget and to force the government to place debt service before all other public spending. Cue howls of indignation from Athens and unembarrassed shrugs of what-did-they-expect in Berlin. Whether this is an exasperated guardian finally laying down the law to its delinquent ward or an unconscionable invasion of national sovereignty depends not just on your view of where the eurozone should be going, but how it got here. Frame the narrative in one way, and the German proposal looks reasonable. A country with a chronic inability to manage its public finances was generously but unwisely allowed into a single currency anchored by a nation of legendary fiscal and monetary probity. When reality caught up with it, that country half-heartedly tried to undo the effects of decades of fiscal and economic mismanagement, generously assisted by rescue loans at massively below-market rates from the few creditworthy governments in the union. When it failed, thanks to endemic political dysfunction, those governments rightly insisted on putting together the framework of a fiscal union they should have done a decade before. Greece will struggle to meet its target for assets sales even by the already delayed deadline of 2017, the country’s privatisation adviser has said, highlighting the country’s struggle to return to solvency amid a wilting domestic and European economy. As part of its first bail-out package, Greece promised to sell €50bn of real estate and other assets by 2015, subsequently renegotiated to 2017. 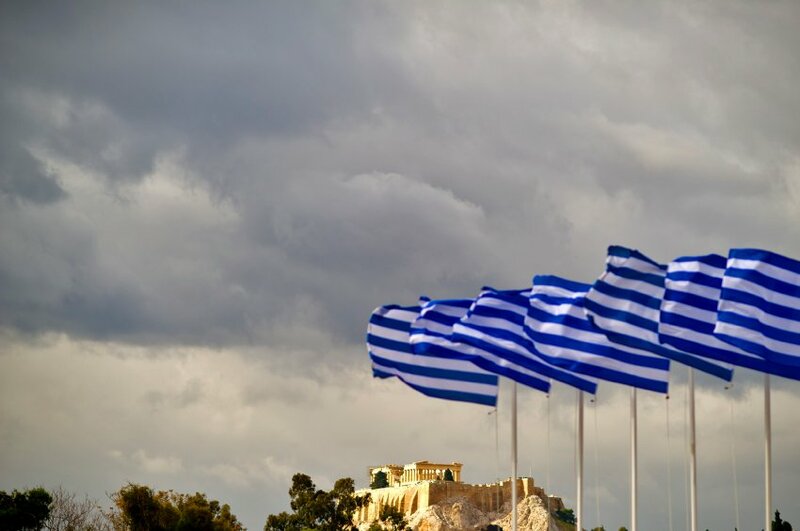 Even that deadline now looks “difficult”, according to Max Ziff, head of sovereign advisory at Houlihan Lokey, the restructuring-focused bank that is advising the Hellenic Republic Asset Development Fund. “Around half of the assets are real estate, and you cannot just dump that on the market without destroying value,” Mr Ziff told the Financial Times. 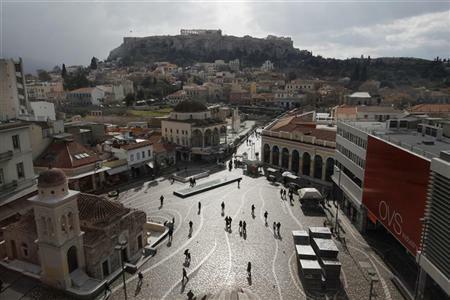 Several large private equity funds have visited Athens to examine the assets on offer. Three funds have already swooped to pick up Wind Hellas, the telecoms company, from creditors, but the only significant disposal by HRADF has been the sale of a 10 per cent stake in Hellenic Telecom to Deutsche Telekom for €390m. Overall, only €1.5bn was raised last year. Late last year, at the height of Europe’s sovereign debt crisis, the Polish foreign minister asked for more German leadership in Europe. Nobody with a sense of history could miss the poignancy of his appeal. 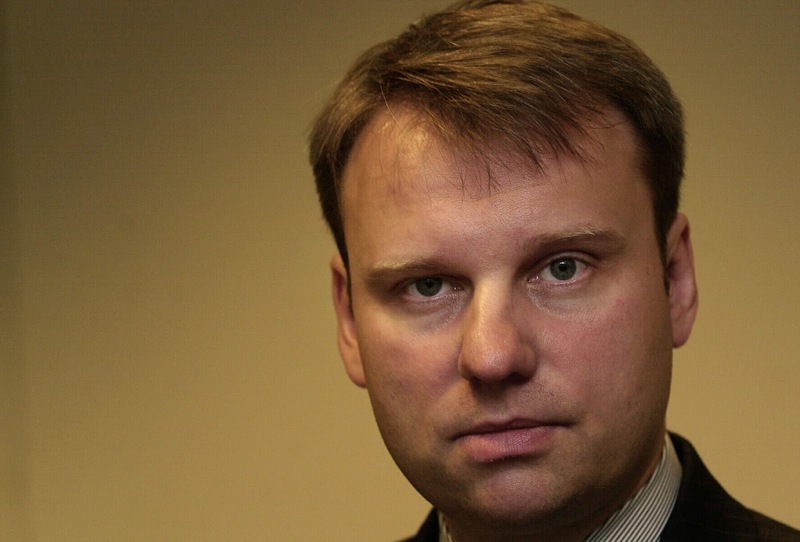 “I fear German power less than [its] inactivity,” Radoslaw Sikorski said. At the Brussels summit yesterday, Chancellor Angela Merkel secured her crowning triumph: a new fiscal compact agreed by 26 members to enforce German-style budget discipline throughout the eurozone. Yet German leadership comes at a price. The risk is that Berlin’s leadership will, willy-nilly, feed perceptions of German dominance. The latest spark to anti-German tinders is a Berlin policy document, which contemplates giving an EU commissioner the authority to overrule Athens’ taxation and public spending decisions. It is far from clear that this would differ much from the power that Greece’s official creditor “troika” already enjoys. Moreover, the shortcomings of the Greek rescue programme owe less to the wrong decisions being made at the top than to an inability to have those decisions implemented by Greece’s dysfunctional bureaucracy. Those same bureaucrats would hardly be more eager to follow through on orders from Brussels than Athens. None of this diminishes the damage done by the political crassness of the proposal. The reaction in the Greek press has been predictably furious. And this is only the last of several unfortunate instances that can easily stoke anti-German sentiment. A nasty war of words between German and Greek tabloids has been going on since the beginning of the Greek crisis: the EU’s shoe-horning into power of two technocrats, Mario Monti and Lucas Papademos, in Italy and Greece; the Irish discovery that German parliamentarians were given drafts of Dublin’s budget before the Dáil; and the insistence on encasing fiscal austerity in a new treaty. Not all of these were caused by Berlin, but they are being interpreted in some capitals as a tightening German grip on other European countries’ affairs. Hans Humes, president of Greylock Capital Management, talks about the negotiations between Greece and its creditors. European leaders sparred with Greece over a second rescue program, clouding progress toward a permanent aid fund and tougher budget rules designed to stabilize the euro. Humes, a member of the creditor committee involved in the negotiations, speaks with on Bloomberg Television's "InBusiness With Margaret Brennan." As German Chancellor Angela Merkel sees it, Europe's new "fiscal compact" on budget discipline will turn the euro zone into a more-perfect currency union. Critics see it as a distraction from the real roots of Europe's debt crisis, and as a straitjacket that will condemn Europe to eternal austerity and stagnation. Most likely, it will do neither. The proposed treaty doesn't overcome doubts about the euro zone's long-term viability and membership, and its constraints on government budgets aren't as tough as they appear at first glance. The treaty, which is due to be formally signed in early March by leaders of euro-zone countries and any other European Union nations that want to take part, obliges governments to balance their budgets and reduce public debt. So-called structural budget deficits, adjusted for economic up- and downturns, are to be capped at 0.5% of gross domestic product. Euro members have to write that rule into their national laws or constitutions, or else EU judges can fine them. 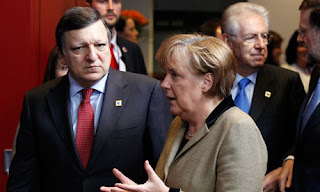 German leaders are furious with Greece. Yet again they have to go back to their electorates asking for more billions to throw down the black hole that is the Hellenic Republic. They have now become so angry that they are even openly proposing that Greece's fiscal affairs be deferred to some European Commissioner, preferably one of a Teutonic disposition. Greek leaders, meanwhile, have seized upon this German "transgression" with glee. For it offers them a wonderful excuse to put on domestic display their patriotic fervor at a time when they are running low on legitimacy in the eyes of a battered, demoralized electorate. Beating their chests about the German threat to Greece's national sovereignty, they are hoping that the Greeks will somehow forget that it was they, their leaders, who ceded sovereignty to the so-called troika of the European Commission, the International Monetary Fund and the European Central Bank. 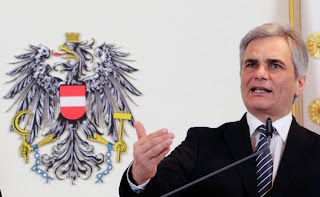 In a SPIEGEL interview, Austrian Chancellor Werner Faymann, 51, expresses doubt about Germany's strategy in combatting the euro crisis, discusses the potential need for a larger Greek bailout package and says that the ECB may have to contribute to debt relief for Athens. SPIEGEL: Mr. Chancellor, head of the International Monetary Fund (IMF) Christine Lagarde has demanded that the permanent euro backstop fund, the European Stability Mechanism (ESM), be enlarged. German Chancellor Angela Merkel thinks this is unnecessary. Who is right? Faymann: I certainly wouldn't promise my parliament that we could get by on €500 billion. My government is prepared for the present EFSF bailout fund and the ESM to overlap in a way that we erect a higher firewall. My finance minister, incidentally, sees it that way too, and like Ms. Merkel, she belongs to the conservative European People's Party. 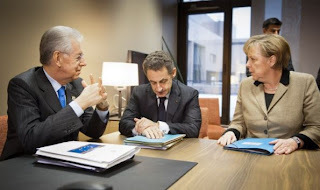 SPIEGEL: Do you want the billions that remain in the European Financial Stability Facility to be combined with the ESM? Faymann: It should move in this direction. That way we would come out with €750 billion. The financial markets are observing us very closely, and judge our strength by the height of the firewall. If it's too low, then we give the markets a reason to speculate against us. SPIEGEL: At the European Union summit in December, you said the European Central Bank (ECB) must gain "additional flexibility" for market intervention. What did you mean exactly? Faymann: If we manage to get debt brakes into the constitutions of member states and maintain stricter controls on frugal budgetary policy, then we need to take the next step toward further safeguards. I am therefore in favor of the ESM being granted a banking concession, enabling it to refinance with the ECB. SPIEGEL: The German government vehemently rejects this. Faymann: I have a different opinion. One has to also tell the countries that have been forced into this severe corset what the benefits of collective protection will be afterwards. An initial agreement on a new bailout loan for debt-ridden Greece could be reached as early as this week, and then discussed at a special summit of euro-zone leaders next month, officials from the euro zone and International Monetary Fund said Monday. Final agreement on a proposed 50% write-down in the face value of debt held by Greece's private-sector creditors is now waiting for an updated report from the IMF on Greece's debt sustainability, these officials said. Greece and its private-sector creditors have been edging closer to a long-awaited agreement over a €100 billion ($132 billion) debt write-down on government bonds, after bondholders indicated they may accept lower yields on restructured Greek debt. This is part of a larger bailout in which the IMF and the European Union will also participate. Representatives of Greece's so-called troika of creditors—the European Union, the IMF and the European Central Bank—are in Athens, and will put together a separate report on which the IMF will base its sustainability analysis. 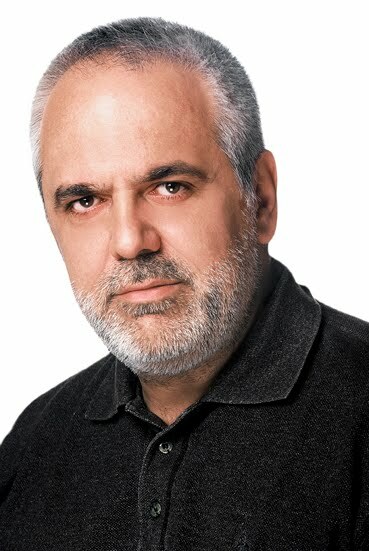 In recent weeks Antonis Megoulis, who heads the national confederation of Greek commerce, has been playing spot the shopping bag. 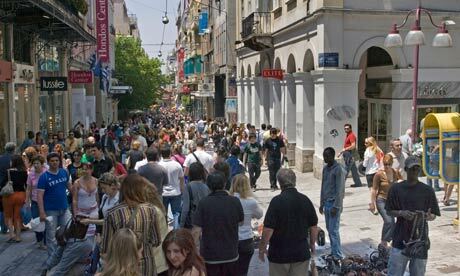 Standing on Ermou, an Athens street that once commanded Europe's highest rents from retailers, he counted the number of shopping bags carried by passersby. "If you do it yourself you will see there are hardly any at all," he said. 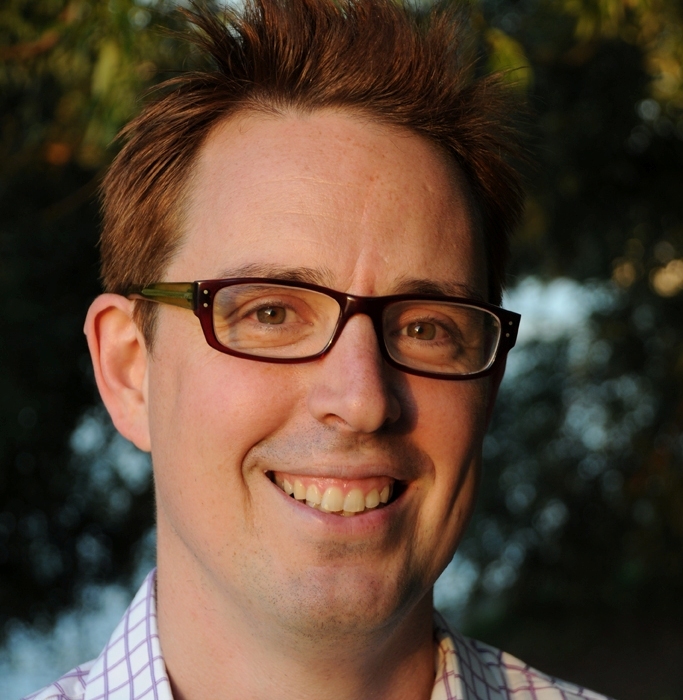 "Consumers are out there looking but no one is buying." As winter sales began in Greece, Ermou was certainly bustling, but even with prices slashed by as much as 70%, cash-strapped Greeks were still more interested in window shopping than snapping up goods. Consumers suffering wage and pension cuts, rising inflation and a recession of a severity not seen since the second world war ensured that shops had one of their worst Christmases on record, with retail sales down 30% on the previous year. "It couldn't be worse," said Megoulis. "Our monthly surveys are shocking reads. 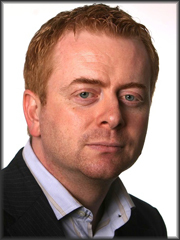 Sales are down, businesses are closing every day and there are no signs of optimism on the horizon." Germany tried on Monday to tone down reports, sparking indignation in Greece, that it wants a new euro zone "budget commissioner" with the power to veto budget decisions taken by the Greek government. 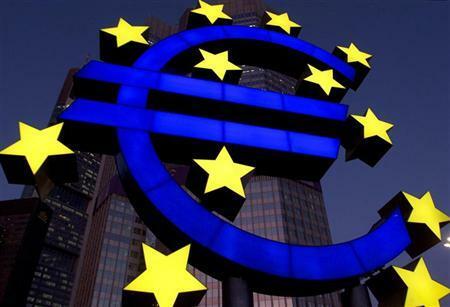 A German finance ministry spokesman said on Monday the euro zone was discussing several ways to closely guide the implementation of budget savings programs in countries that have taken up rescue funds, but had not settled on one proposal. "There are discussions in the euro zone about what we should do when in certain cases, certain programs go off track over a long period, and time and again," spokesman Martin Kotthaus told a regular news conference, adding there were still shortcomings in the implementation of Greece's savings program. 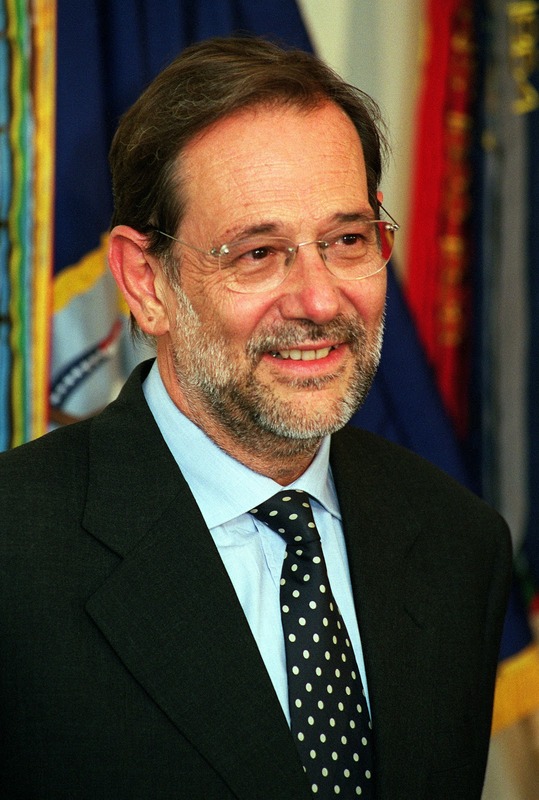 "In the eurogroup there is a discussion, and there are different proposals and papers," he said. 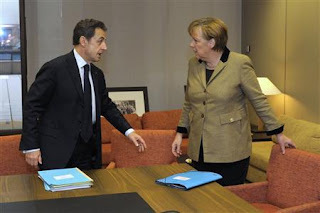 WSJ's David Gauthier-Villars has details of German Chancellor Angela Merkel's plan to back French President Nikolas Sarkozy's re-election bid in an effort to preserve Germany's austerity drive. WSJ's Stephen Fidler reports Eurozone leaders are proposing stiff rules and penalties at their summit in Brussels to prevent countries from becoming economically unstable. Europe's politicians continue to battle reality. 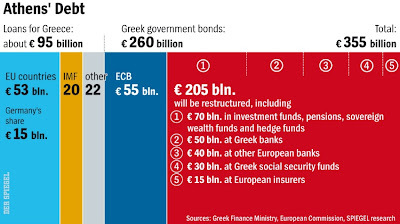 Everyone knows that Greece cannot repay its massive pile of debts, now at more than €350 billion ($459 billion). But instead of effectively reducing the financial burden, European politicians intend to approve new loans for the government in Athens and go on fighting debt with new debt. "If the country wants to remain in the euro zone, we should support it," says Austrian Chancellor Werner Faymann. German Chancellor Angela Merkel had hoped that Monday's EU summit would focus exclusively on finalizing her plan to impose budget discipline across the 27-member bloc. Problems in Greece, however, may hijack her headlines. 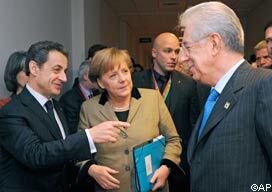 It will be the 17th European Union summit in the last two years focused on the ongoing debt crisis on the Continent. And it may be the most difficult one yet -- at least when it comes to getting there. 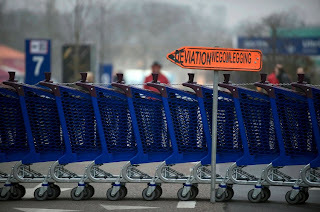 With Chancellor Angela Merkel, French President Nicolas Sarkozy and 25 other heads of state and government from across Europe set to arrive in Brussels in the early afternoon, disgruntled Belgian workers have chosen Monday for a nationwide strike. The work stoppage -- which has left travelers stranded and the public transport system at a standstill -- started late on Sunday and is set to continue for 24 hours. Workers are protesting deep austerity measures passed in the country, similar to belt-tightening packages that have triggered social unrest across the Continent. Some measure of relief, though, may be in sight. With several European economies suffering because of the far-reaching consolidation policies put in place last year, leaders are reportedly hoping to agree on a summit communiqué calling for "growth-friendly consolidation and job-friendly growth." According to Reuters, EU leaders may announce their intention to use €20 billion ($26 billion) of unused funds from the 2007-2013 budget to promote job creation programs. But that is likely to be just a footnote in a summit that, in addition to passing Chancellor Angela Merkel's fiscal pact mandating budgetary discipline, will almost certainly focus on the ongoing problems in Greece. And those problems, it would seem, are only getting worse. SPIEGEL has learned that the so-called troika, made up of the European Commission, the European Central Bank and the International Monetary Fund, now believes that Greece requires €145 billion in aid money to remain solvent through 2014, fully €15 billion more than the €130 billion bailout package currently being negotiated between the EU and Athens. The increase is largely a function of Greece's struggling economy, which performed even worse than expected in 2011. Understandably, there is a debate about how to achieve recovery. 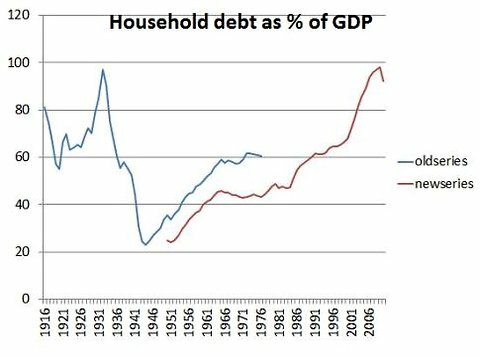 Advocates of austerity argue that debt has a negative impact on growth; proponents of further stimulus counter that it is low growth that generates public debt, not the other way around, and that austerity in times of recession only makes things worse. But Europeans do not have to agree on everything to find a common course. We can disagree about the long-term effects of liquidity injections, but we can all agree that it is not right to allow profitable companies to fail because credit markets are not working. We do not have to see eye to eye on fiscal policy to understand that it makes more sense to promote investment than to see our productive structure languish. And we all know that it is more cost-effective to invest in retraining the jobless than to allow long-term unemployment. 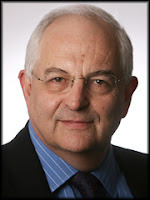 Michael Massourakis, chief economist at Alpha Bank SA, discusses the prospects for the Greek debt crisis. 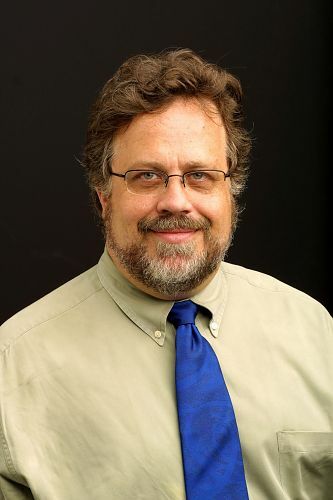 He speaks from Athens with Mark Barton on Bloomberg Television's "The Pulse." Germany's finance minister issued an unusually blunt warning that the euro zone might refuse to grant Greece a fresh bailout, pushing Athens into default unless it persuades Europe it can overhaul its state and economy. 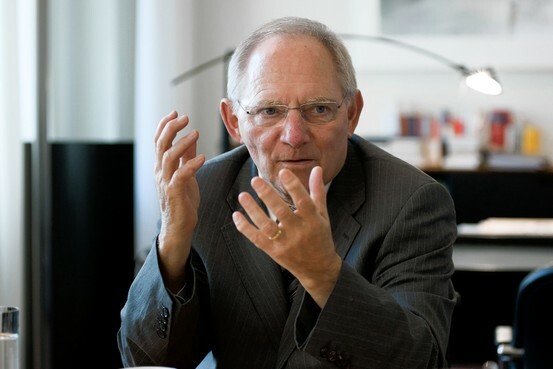 "Greece needs to decide," Wolfgang Schäuble said in an interview with The Wall Street Journal, when asked whether the euro zone would grant or withhold the second bailout package for the country since 2010, expected to be in excess of €130 billion ($172 billion). Europe is "prepared to support Greece" with the new loan package, Mr. Schäuble said, but he warned: "Unless Greece implements the necessary decisions and doesn't just announce them…there's no amount of money that can solve the problem." 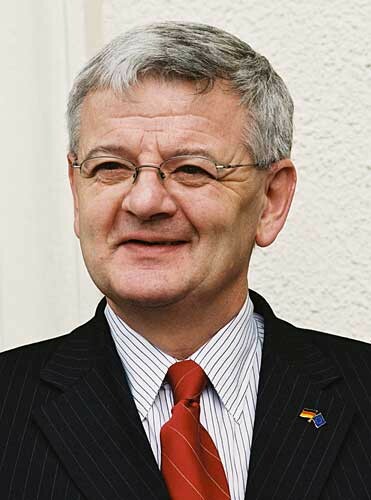 The remarks came as German officials last week floated the radical idea of appointing a European "budget commissioner" with veto powers over Greece's spending, partially suspending Greece's national sovereignty over its budget, in return for aid. "Perhaps we and our partners must look into ways to assist Greece in this difficult task in an even closer manner," Mr. Schäuble said, alluding to the German oversight proposal. EU leaders will sign off on a permanent rescue fund for the euro zone at a summit on Monday and are expected to agree on a balanced budget rule in national legislation, with unresolved problems in Greece casting a shadow on the discussions. The summit - the 17th in two years as the EU battles to resolve its sovereign debt problems - is supposed to focus on creating jobs and growth, with leaders looking to shift the narrative away from politically unpopular budget austerity. The summit is expected to announce that up to 20 billion euros ($26.4 billion) of unused funds from the EU's 2007-2013 budget will be redirected toward job creation, especially among the young, and will commit to freeing up bank lending to small- and medium-sized companies. But discussions over the permanent rescue fund, a new 'fiscal treaty' and Greece will dominate the talks. Negotiations between the Greek government and private bondholders over the restructuring of 200 billion euros of Greek debt made progress over the weekend, but are not expected to conclude before the summit begins at 9:00 a.m. EST. Until there is a deal between Greece and its private bondholders, EU leaders cannot move forward with a second, 130 billion euro rescue program for Athens, which they originally agreed to at a summit last October. Instead, they will sign a treaty creating the European Stability Mechanism (ESM), a 500-billion-euro permanent bailout fund that is due to become operational in July, a year earlier than first planned. And they are likely to agree the terms of a 'fiscal treaty' tightening budget rules for those that sign up. Greek Prime Minister Lucas Papademos headed for Brussels late Sunday to negotiate a new bailout for his country after weekend talks with private creditors over a planned debt restructuring neared a deal, and following a renewed commitment by political leaders in Athens to pursue fresh reforms. In remarks following an almost three-hour meeting with the heads of the three parties that make up his coalition government on Sunday, Mr. Papademos said the country's negotiating position was greatly strengthened by the cross-party support. A day earlier, Greece and its private sector creditors had said they were on the verge of a deal to write off €100 billion ($132 billion) of the country's debt, pending the outcome of separate talks on the new multibillion-euro bailout for Athens. Both sides said in statements over the weekend that they expect a deal to be completed this week. The focus now shifts to a European summit on Monday in Brussels, where the Continent's leaders are set to discuss the terms of the debt restructuring and the new loan. Complicating those discussions are new demands by Germany for greater European oversight over Greece's budget affairs, and growing concerns that Greece's funding needs might be bigger than originally thought. Over the weekend, it emerged that Germany was leading a push for tighter European control over Greece's budget and economic plans. I recently had a conversation in which everybody seemed to agree that the new European fiscal pact was quite mad. The conversation was overheard by a former policymaker, who turned to us and said that he agreed in principle – but he then added that if the treaty encouraged the European Central Bank to become more flexible, it might still be worthwhile. Later I spoke to a central banker, who also agreed that the treaty was irrelevant, but he was nevertheless in favour of it because it served as a signal to the financial markets. When I spoke to my contacts in the financial markets, I was told that the treaty was quite mad. The best thing that one could say about the treaty is that it is not necessary. 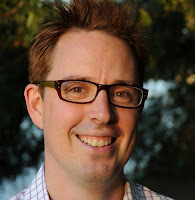 Everything we are likely to see in the final version is either in existing treaties or in legislation, notably the so-called “six-pack”, a set of policy surveillance measures passed earlier this year. The rest could easily be introduced through new secondary legislation. While I have yet to meet anybody who can explain what good the treaty will do – except as part of some circular logic – the damage it will do is more evident. Just think of the entirely unnecessary fight with David Cameron, UK prime minister. But the British problem pales in comparison with the treaty’s truly destructive powers. It will encourage eurozone member states to adopt extremely pro-cyclical policies. Germany's cautious, measured handling of the euro-zone debt crisis is coming under renewed fire from critics in Europe and the U.S. who say Berlin needs to take bolder, more decisive action. But German Finance Minister Wolfgang Schäuble says "steady policies" are more likely to restore confidence in the euro zone than big bazookas. He also delivers a warning to Greece that it needs to improve its implementation of fiscal and economic overhauls if it wants to get a new bailout package. WSJ reporters Marcus Walker, William Boston and Andreas Kissler spoke with Mr. Schäuble in his Berlin office. 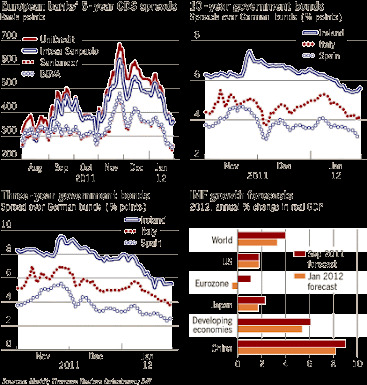 WSJ: Some say the most acute phase of the euro crisis is over and chronic problems remain, but the extreme danger is no longer there. What's your view? Mr. Schäuble: We can see some signs that the path we've taken is successful, but the critical phase isn't behind us. 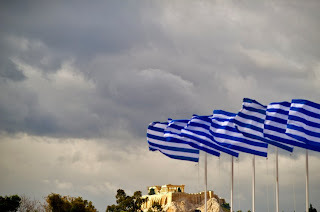 Greece is in a very critical, very difficult phase. 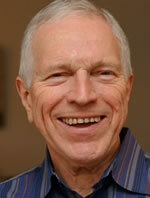 The uncertainties are still large, so it would be too early to sound the all-clear. 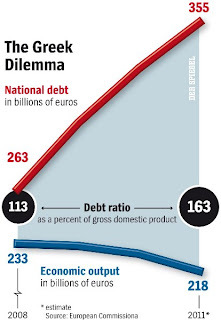 WSJ: Do you have to make a fundamental decision on Greece in coming weeks? Either to lend and risk a lot more money until 2020—or to allow a default? 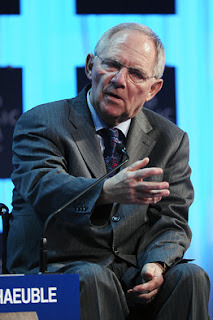 Mr. Schäuble: Greece needs to decide. The problems in Greece can't be overcome without strong fiscal and structural adjustments. Pushing such changes through in a democratic system isn't easy. The Europeans are prepared to support Greece on this path with everything that's needed. But we can't substitute for Greece implementing these measures. Greece needs far more time for this than was assumed two years ago. Unless Greece implements the necessary decisions and doesn't just announce them, it can't be done. Without this, there's no amount of money that can solve the problem. Perhaps we and our partners must look into ways to assist Greece in this difficult task in an even closer manner. Greece and its private creditors said they expect to complete a debt-swap accord this week after bondholders signaled they would accept European government demands for lower interest rates. The sides are “close” to completing a voluntary exchange within a framework outlined by Luxembourg Prime Minister Jean- Claude Juncker, the Institute of International Finance, negotiating on behalf of private creditors, said in an e-mailed statement in Athens yesterday. Creditors are prepared to accept an average coupon of as low as 3.6 percent on new 30-year bonds, said a person familiar with the talks, who declined to be identified because a final deal hasn’t been struck yet. Juncker, who also leads the group of euro-area finance ministers, said Jan. 24 that bonds issued in the swap should have a coupon “well below” 3.5 percent for the period to 2020 and below 4 percent over the 30 years. As recently as Jan. 23, private investors wanted the new 30-year bonds to have an average coupon of about 4.25 percent, two people familiar with the talks said then. That offer equated to a loss of about 69 percent on the net-present value of Greek debt. Bondholders agreed with European officials three months ago to implement a 50 percent cut in the face value of more than 200 billion euros ($263 billion) of debt by voluntarily swapping bonds for new securities. A worsening economy since then has made it more difficult to achieve a goal of cutting Greece’s debt to 120 percent of gross domestic product by 2020. As Greece tries to reach a debt-swap agreement with its private creditors, the country’s prime minister suggested on Sunday that the three leaders in his fractious coalition were prepared to back additional austerity measures and reforms needed to receive a second bailout. Prime Minister Lucas Papademos had sought agreement among the coalition partners on the broad outlines of a deal with private creditors to erase $130 billion of debt as well as a recovery plan suggested by the European Commission, European Central Bank and International Monetary Fund, collectively known as the troika. “We are in absolute agreement as regards the continuation of negotiations and the positions that we will support,” Mr. Papademos said, referring to talks between government officials and the troika. Athens also reported progress over the weekend between Greece’s political leadership and Charles Dallara of the Institute of International Finance, the bankers’ lobby representing most investors, over how much of a loss the private sector creditors would be willing to accept on their bond holdings. French President Nicolas Sarkozy said the euro-region’s financial crisis is stabilizing thanks to measures taken by European leaders. The comments came on the eve of a European Union summit in Brussels where where leaders are set to put the finishing touches on a German-led deficit-control treaty and endorse the statutes of a 500 billion-euro ($661 billion) rescue fund to be set up this year. Prime Minister Lucas Papademos sought backing on Sunday from leading Greek party leaders for painful and unpopular reforms that the near-bankrupt country must negotiate now that a long-awaited debt relief deal seems almost secured. Attention is shifting to negotiations with Greece's international lenders who want proof that the Papademos coalition will take action on reforms before they hand over funds from a 130 billion euro bailout. Greece needs the money to avoid a chaotic default when big bond redemptions fall due in March. However, in a sign that the talks will be tough, German Economy Minister Philipp Roesler openly called for Athens to surrender control of its budget policy to outside institutions if it cannot implement the reforms required under the euro zone rescue package. Such suggestions have raised hackles in Greece and Papademos made clear how hard the talks with its lenders, the IMF and European Union, would be. "The negotiations are not easy," he said in a statement after meeting the heads of the three parties in his government. "Despite progress on stabilizing the economy, despite the significant changes and the great sacrifices, deviations from targets and repeated delays in the implementation of specific policies have resulted in our partners setting more terms and commitments." 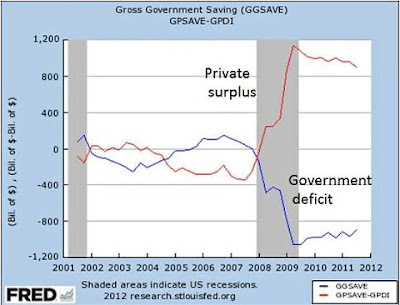 Fiscal Adjustment: Too Much of a Good Thing? The IMF has argued for some time that the very high public debt ratios in many advanced economies should be brought down to safer levels through a gradual and steady process. Doing either too little or too much both involve risks: not enough fiscal adjustment could lead to a loss of market confidence and a fiscal crisis, potentially killing growth; but too much adjustment will hurt growth directly. At times over the last couple of years we called on countries to step up the pace of adjustment when we thought they were moving too slowly. Instead, in the current environment, I worry that some might be going too fast. The latest update of the Fiscal Monitor shows that fiscal adjustment is proceeding pretty quickly in the advanced economies—on average the deficit is projected to fall by a total of 2 percentage points of GDP in 2011-12. The decline is even larger in the euro area—about 3 percentage points of GDP. In a reasonably good growth environment this pace of adjustment would be fine. But in the current weaker macroeconomic environment bringing deficits down this quickly could pose a risk for the economic recovery. Some might argue that adjusting is like taking a bitter medicine, and that it’s always best to get it over with as quickly as possible. Aggressive fiscal adjustment will surely be rewarded by markets through lower interest rates, and any cost to growth is simply the price paid to ensure that fiscal credibility is won or maintained. Angela Merkel, the German chancellor, is facing growing political pressure at home to demand stricter fiscal discipline from her eurozone partners at an extraordinary European Union summit in Brussels on Monday. She also faces a potential revolt by conservative members of the German parliament over any call for more taxpayers’ money to bail out the ailing Greek economy. The threat of a political backlash is one factor behind Germany’s demand, revealed in the Financial Times on Saturday, for tougher conditions to be imposed on any new rescue package for Greece, including the appointment of an outside enforcer with the power to veto national spending decisions. The proposal, angrily rejected in Athens at the weekend, is seen in Berlin as an essential means of keeping the Greek rescue programme on track, after repeated failure to observe the tax and spending targets fixed by the International Monetary Fund, the European Commission and the European Central Bank. Greece has rejected outright German proposals for the EU to hold power over its budget. Culture Minister Pavlos Yeroulanos told the BBC it would be "impossible" for Greece to cede control of its tax and spending powers. 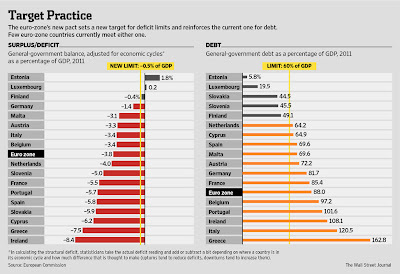 There are concerns the measures Greece has taken to cut its budget deficit have not gone far enough. 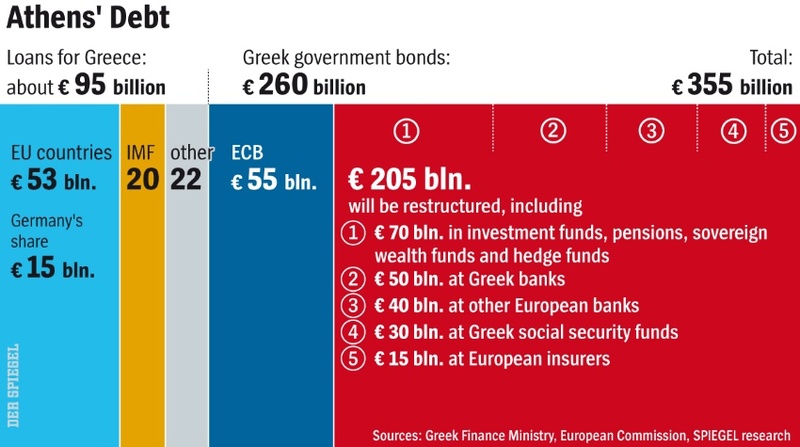 Meanwhile, Greece and its private creditors are close to a deal to cut dramatically the country's debt levels. Charles Dallara and Jean Lemierre, representing the creditors, said on Saturday they were "close to the finalisation" of a deal that would see banks and investors write off about 50% of money they are owed. 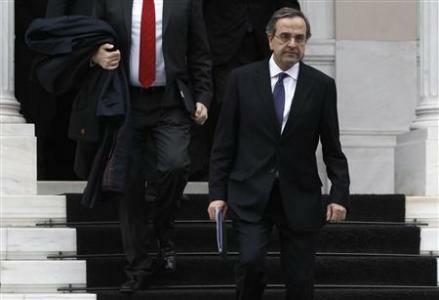 They said a deal, which is necessary for Greece to receive much-needed further bailout funds, should be agreed this week. On Sunday, Greek Prime Minister Lucas Papademos said he and his coalition partners were in "complete agreement" over the positions to adopt in the talks, both with private creditors and with the EU and International Monetary Fund officials over any subsequent bailout. He said delays in cutting Greece's budget deficit had led to demands for greater austerity measures. Κάτω τα χέρια από τον Αρχηγό μου! 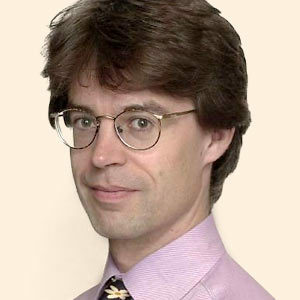 Davos 2012: Optimism or crisis fatigue? Greek debt deal seen as "very close"